Barbeque Sauce 2 – Another good, simple recipe for beef or pork. 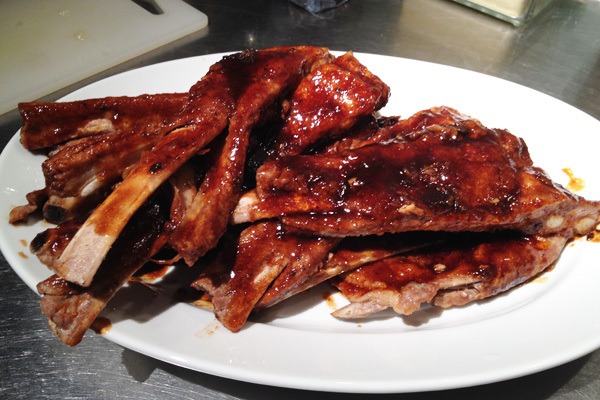 It’s the one I use at home for spare ribs and is quick to make. There are so many barbeque sauce recipes and bottled preparations but this one is simple and contains no thickeners or preservatives. Best of all you probably have what you need in your fridge. I know that when you read this you will go “Oh my God, what’s with the catsup?” but I promise try it once you will be converted. Barbeque Sauce 2 - Another good, simple recipe for beef or pork. 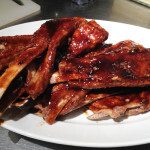 It's the one I use at home for spare ribs and is quick to make. There are so many barbeque sauce recipes and bottled preparations but this one is simple and contains no thickeners or preservatives. Best of all you probably have what you need in your fridge. Combine all the ingredients in a small bowl and whisk together. I know that when you read this you will go "Oh my God what's with the catsup?" but I promise try it once you be will converted. This is a great all purpose and quick recipe. Works well with both beef and pork. For those of us who like sweet barbeque sauces it's great and not too sweet. The Saracha sauce is extremely hot - at least to me. So 1 tablespoon is enough for me but of course use more if you like it really spicy.